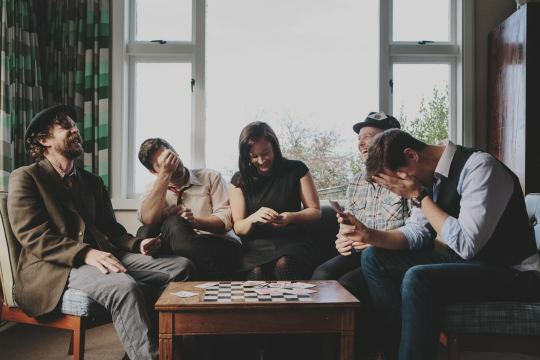 Eb & Sparrow is a genre-defying, five-piece folk band that has been gaining attention across the country from city bars to folk clubs, festivals to house concerts. Singer and songwriter Ebony Lamb’s impressionistic lyrics are imbued with a simple strength that comes from both heart and heartache. Her voice is unique – a cross between Cat Power and Gillian Welch and seems to resurrect an old-time soul into the here and now. Around her lap-steel, trumpet and electric guitars swirl colourfully above solid and sensitive rhythm playing, moving effortlessly between a country shuffle, a Tex-Mex croon, and a hazy hooning workout. "..an edge that harks back to old time jazz and blues singers ..."
Quietly We Tread - Eb & Sparrow from Eb and Sparrow on Vimeo.